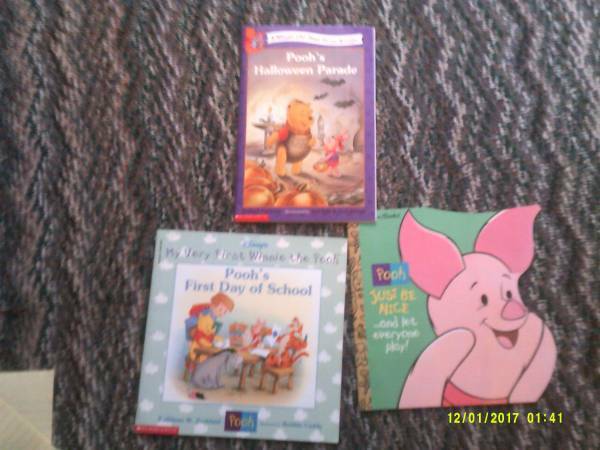 This Winnie The Pook Scholastic softcover collection includes Pooh's Halloween Parade, Just Be Nice and Let Everyone Play and Pooh's First Day of School. All 3 books for one low price. Cash and carry only.